MINISTER FOR HEALTH James Reilly has criticised graduate nurses for not taking up lower-paid jobs with the HSE and said their boycott of the controversial recruitment scheme is “ill-judged”. The Minister also said that the €10 million saving which had been expected to be made from the graduate recruitment scheme will still have to be made up from somewhere. Responding to a parliamentary questions from a number of TDs about the scheme, James Reilly called on the unions involved to reconsider their opposition. The HSE had planned to recruit 1,000 graduate nurses on a starting salary worth 80 per cent of the usual salary for the job. However nursing unions urged graduates to boycott the jobs and said the salary was ‘insulting‘. The Health Minister said he was still optimistic that the numbers applying will increase. “Graduate nurses and midwives are of course entitled to chose whether to participate in the initiative or to pursue their careers elsewhere but I would hope to see a steady increase in applicants over the coming months,” he said. “I consider that the boycott of the scheme by the nursing representative bodies is ill-judged and I would ask them to reconsider their opposition to this measure”. The HSE had originally set 1 February as the deadline for applications for the new positions but it cancelled the deadline indefinitely when it became clear that the number of applications was low. It was revealed this week that just 84 job applications have been processed so far. Email “James Reilly: The boycott of nursing jobs is "ill-judged"”. 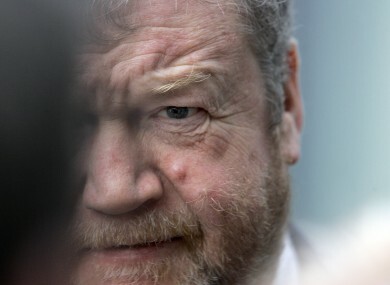 Feedback on “James Reilly: The boycott of nursing jobs is "ill-judged"”.